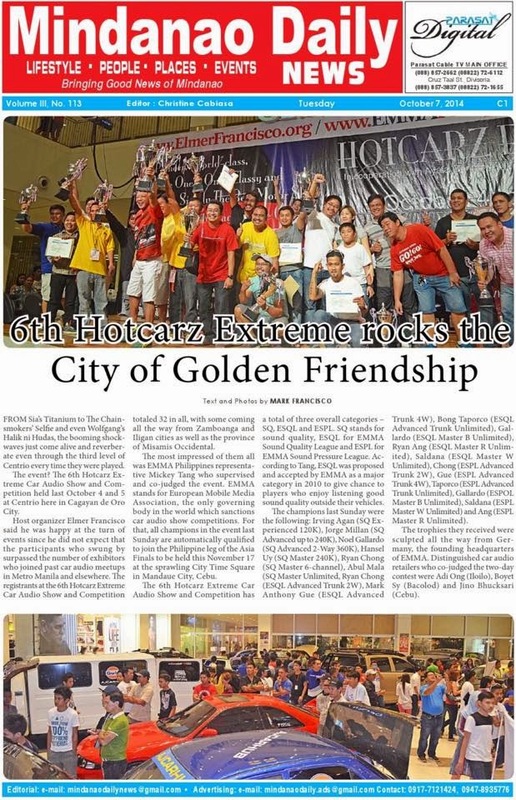 Full page at today's issue (October 7, 2014 Tuesday) of Mindanao Daily﻿... HOTCARZ Extreme Car Audio Show and Competition (EMMA 3rd Leg CDO). 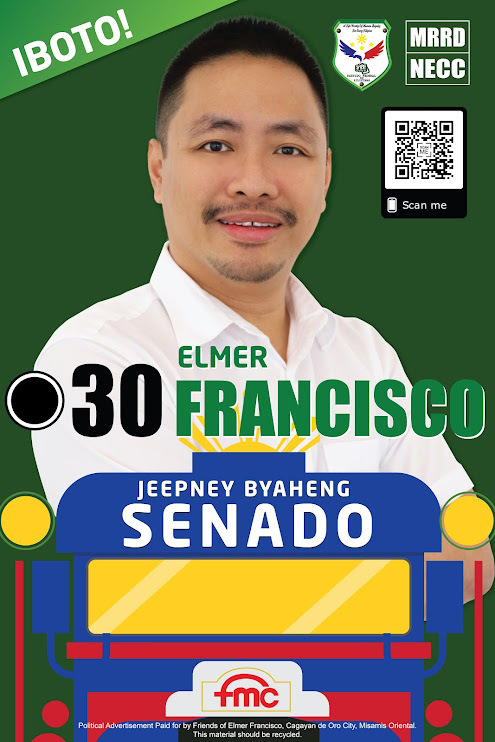 Thank you everyone (All Participants) for actively participating especially to my good friends: Jaime Augusto Zobel de Ayala﻿ - Owner of Ayala Centrio Mall, Mickey Tang﻿ of EMMA Philippines, Jino Bhucksasri﻿ of EMMA Philippines, Adi Ong﻿ of EMMA Philippines, Boyet Sy﻿ or EMMA Philippines, Hazel Hazel Gabais Relagio﻿ of EMMA Philippines, Dante Sudaria﻿ - Publisher of Business Week Mindanao, Mindanao Daily, Cagayan Times and MindanaoStar Balita﻿, Pj﻿ dela Peña of ABS-CBN and Glenn Abellar Nisperos﻿ of Mellow Touch 95.7. I couldn't have done it without you all! Thank you!